We had a busy year in our digital studios last year, and we have no reason to believe this year will be any different. As we wait for 2018’s projects to launch, here are three new interactive experiences you can enjoy right now. We live in a very busy world. Time is short, and we want to get as much as we can, as fast as we can. Very Very Short attempts to capture the essence of this in a new series of interactive projects for smartphones. Each project is under 60 seconds long, and is explores the theme of mobility in some way. The project creators hail from across the globe, from Canada to Brazil, from Belgium to Taiwan. Every Thursday, a new project is put online. The series was launched at the end of November, with a total of 10 projects, meaning that the last one will be released on February 1. 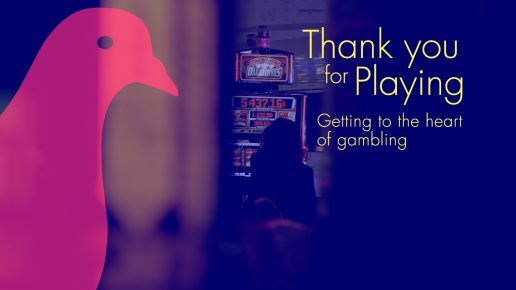 For some of us, heading out for an evening of gambling is just another form of entertainment – like catching a movie or a play. For others, it’s a lot more. Gambling addiction poses a real threat to the gambler, their family, and those around them. Casinos are in business to make money, and they know just how to manipulate people into playing. They use proven behavioural psychology to encourage us to keep playing when we win, and to try again when we lose. Through the stories of three individuals, this project allows us to see just how this works, and how dangerous it can be. 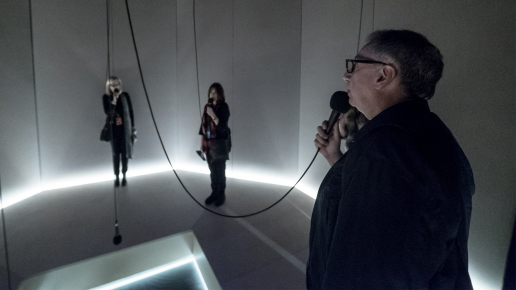 If you happen to be in Montreal before the end of April, we have an interactive installation at the Montreal Museum of Contemporary Art’s exhibition, A Crack in Everything, a tribute to Leonard Cohen. The exhibit is comprised of 20 works by 40 artists from 10 different countries. In I Heard There was a Secret Chord, visitors enter a space where they’re encouraged to hum Cohen’s iconic Hallelujah, and join the voices of those who have been there before them, and those who will come after. If you can’t make it, there’s an online component to the project, which is quite simple, but surprisingly moving. Read more on I Head There was a Secret Chord. Hello, I am an Argentine documentalist and on July 14 to 26 I will be traveling to Canada. I would like to ask you if I can do some interactive documentary course? Unfortunately, we’re not a training facility, but Canada’s public producer and distributor. But we hope you enjoy your trip! Addiction is terrifying. There are few things that can so rapidly destroy one’s family, career, and entire life as an addiction. In looking through our collection, we pulled 5 films that took different approaches to addiction and encourage new ways of thinking.